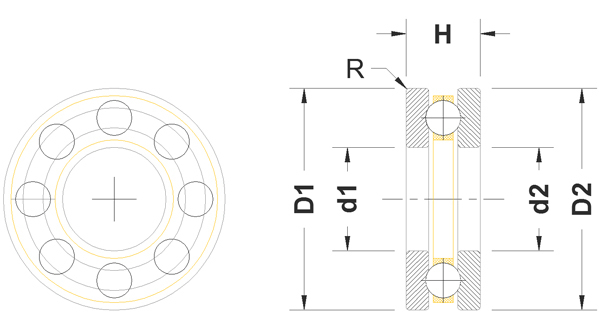 Thrust Ball Bearings are to reduce rotational friction and support axial loads. Ideal for precision work with close tolerances suitable for building models and applications. The thrust ball bearings consist of a shaft washer, a housing washer and a cage containing a complement of precision balls. They are separable and can be mounted separately. Made of heat-treated Chrome steel.